In this tutorial we will setup a complete Network Monitoring System to install and configure Zabbix Server and its agent on latest version of CentOS 7 to monitor our complete IT infrastructure whether its Linux servers running with different applications and critical services, Windows servers running with IIS, SQL and exchange servers or any SNMP devices. Other than servers monitoring we can check the status of websites for their response time and bandwidth transfer rate. Zabbix requires minimum of 128 MB of RAM and 256 MB of free disk space to setup its installation process but the amount of required disk memory obviously depends on the number of hosts and the parameters that are being monitored. 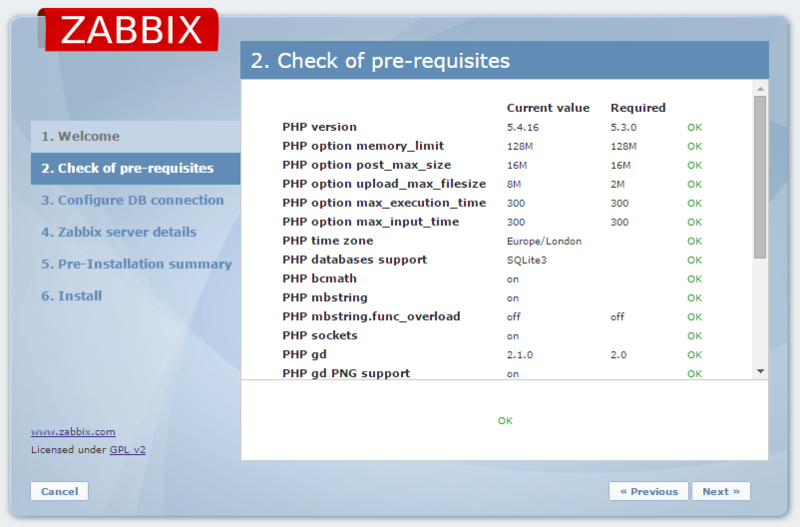 Considering the below parameters we will go through the steps to build Zabbix Server. 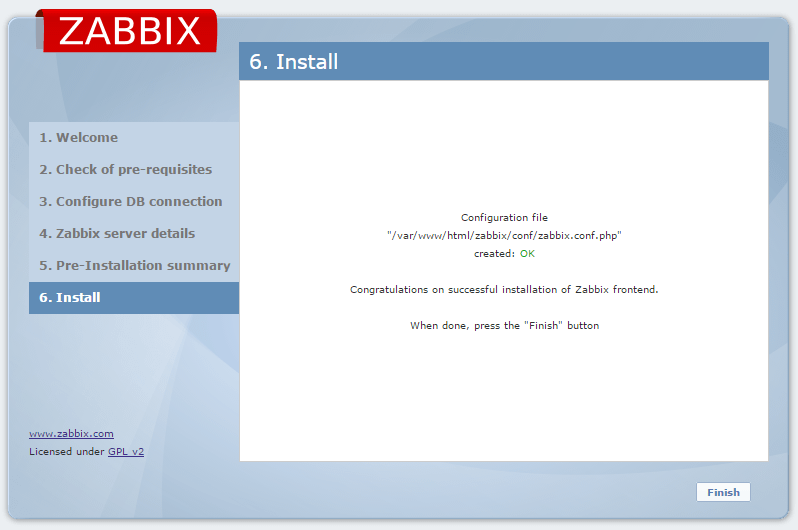 Create a backup directory and download the Zabbix Application for CentOS operating system. Before starting the Zabbix setup we need to create Zabbix group and user. Perform the following steps to create. Once zabbix user is done we need to create a new database for zabbix server. To do so we need to perform following steps. Now Import initial schema and data. Before running the installation script make sure that all the required php extensions and other supporting libraries including mysql-devel php-mysql and net-snmp are installed without that installation process will not be complete. Now we need to create the apache document root directory to then move all frontend php files in it. 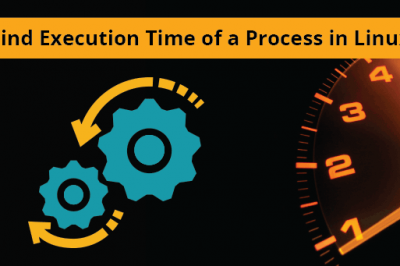 Restart Apache service to take effect after making change in php.ini file. 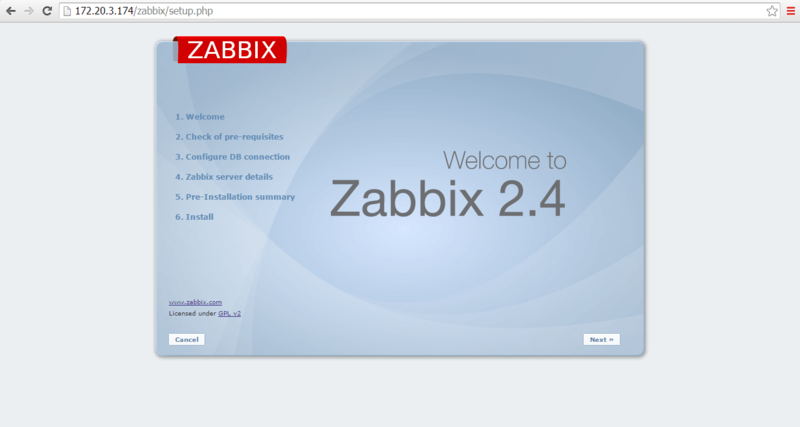 In your browser, open Zabbix URL as per your server IP or name. Enter details for connection to the database. 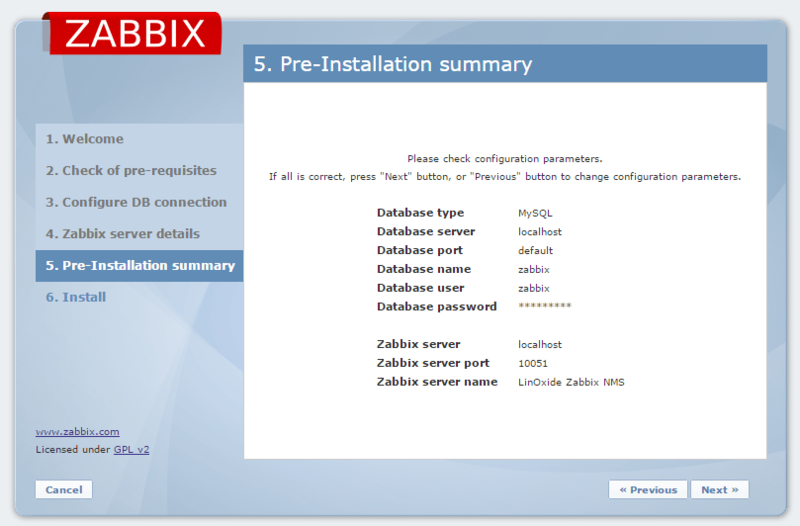 Zabbix database must be already created. 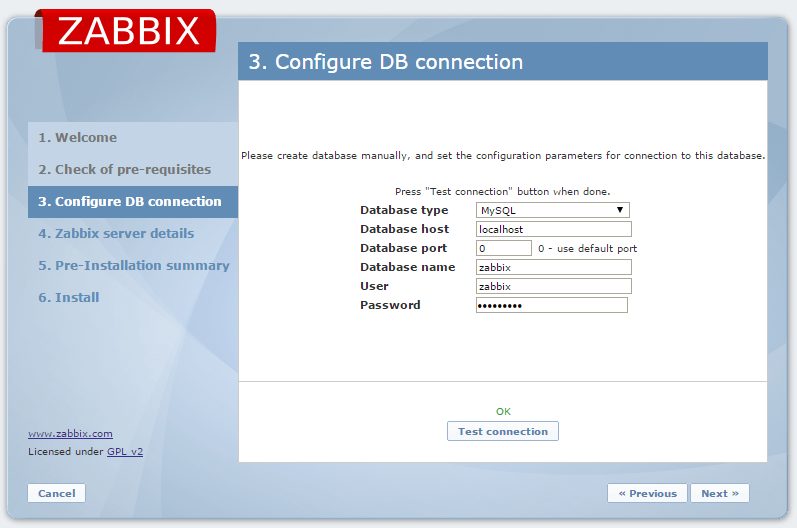 Then Enter Zabbix servers detail and click on Test Connection to confirm its connectivity with the database. Download the configuration file and place it under following conf directory. 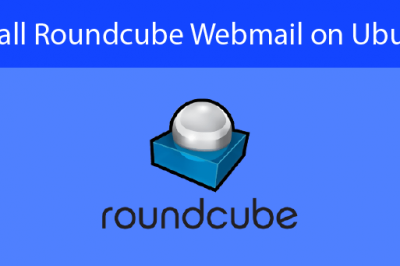 After uploading conf file into mentioned destination folder click to "Retry" and the click to "Finish" after it appears OK status. 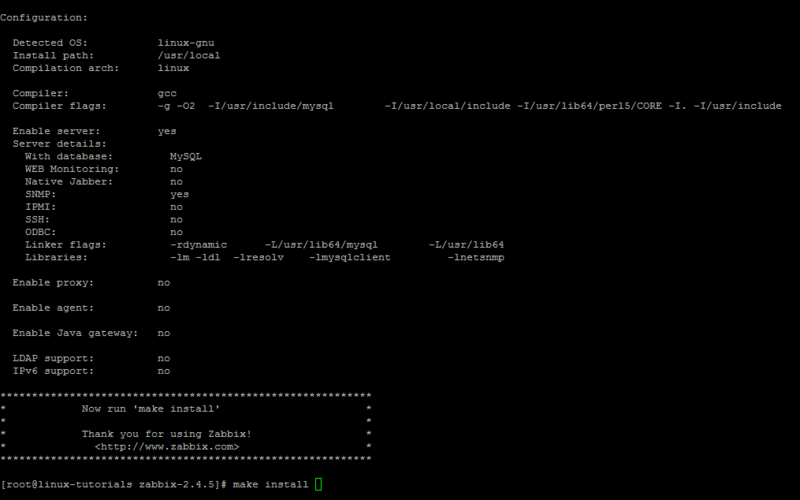 Zabbix frontend is now ready to access with default user name "Admin" and password "zabbix". 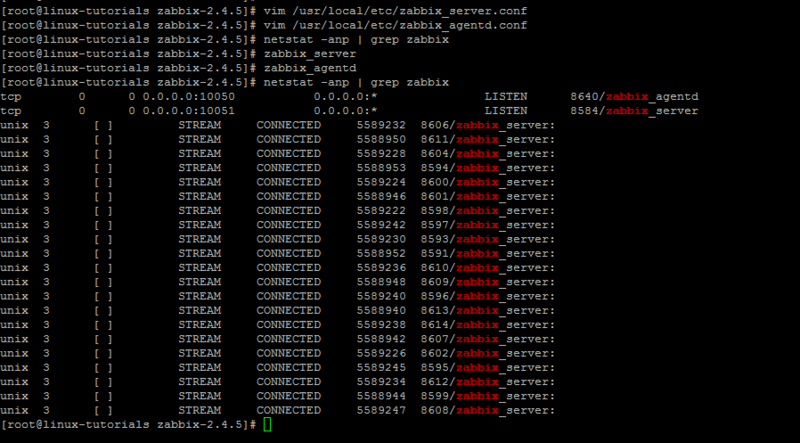 Now lets come to zabbix server configuration file to configure it to start monitoring hosts. As we already installed zabbix agent now we just need to configure its parameters to make it communicate with the server. 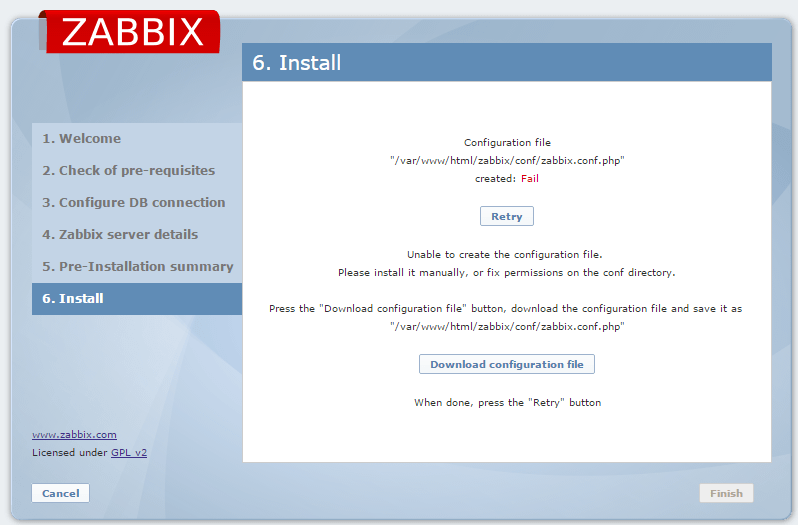 So lets open the zabbix agent configuration file and configure the parameters. After making changes to zabbix server and its agent configurations start zabbix server and zabbix agent services as. Lets point to zabbix Configuration and then Hosts to enable the zabbix server to start its monitoring and then add many hosts and web scenerios to enjoy with an awesome interface, dashboard and graphs. Zabbix is an open source enterprise monitoring solution for networks and applications designed to monitor and track the status of various network devices, performance and availability of cross platform servers and other network hardware. It has allowed us to address a number of issues within our client’s infrastructure that allows us to monitor hundreds and thousands of devices with high performance, and high capacity platform. I want to comment of one about create user zabbix. I see your mistake command line. For command : #useradd zabbix is correct.Thank you for your post on website.